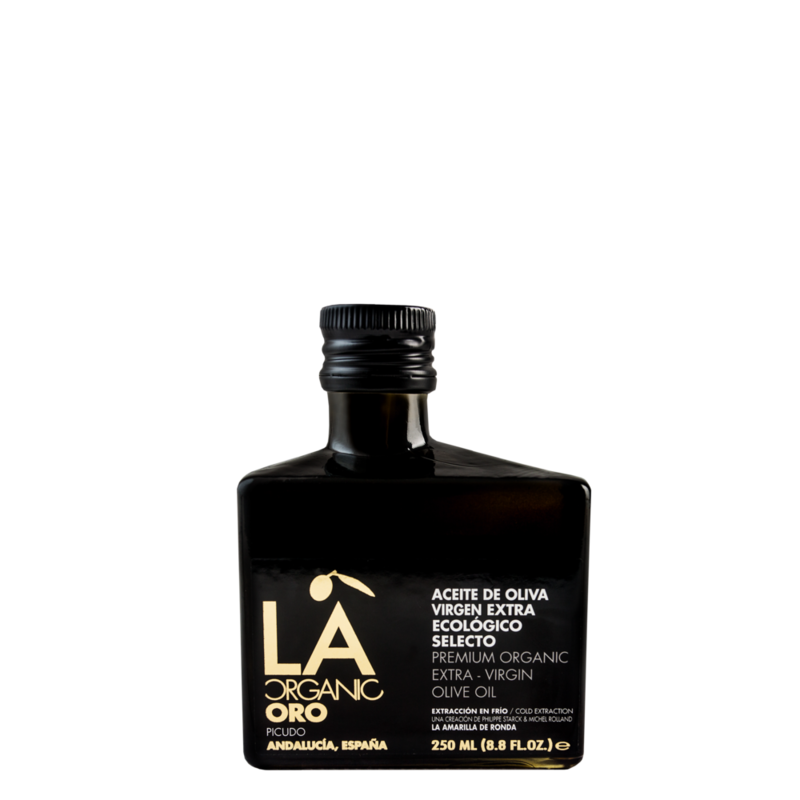 These were the first LA Organic olive oils, Philippe Starck created the packaging, based on the traditional cans, seeing as it is the best way in which to preserve olive oil. It could be compared to a "reserva"/vintage in the world of wine. Ideal in use as a dressing and raw. 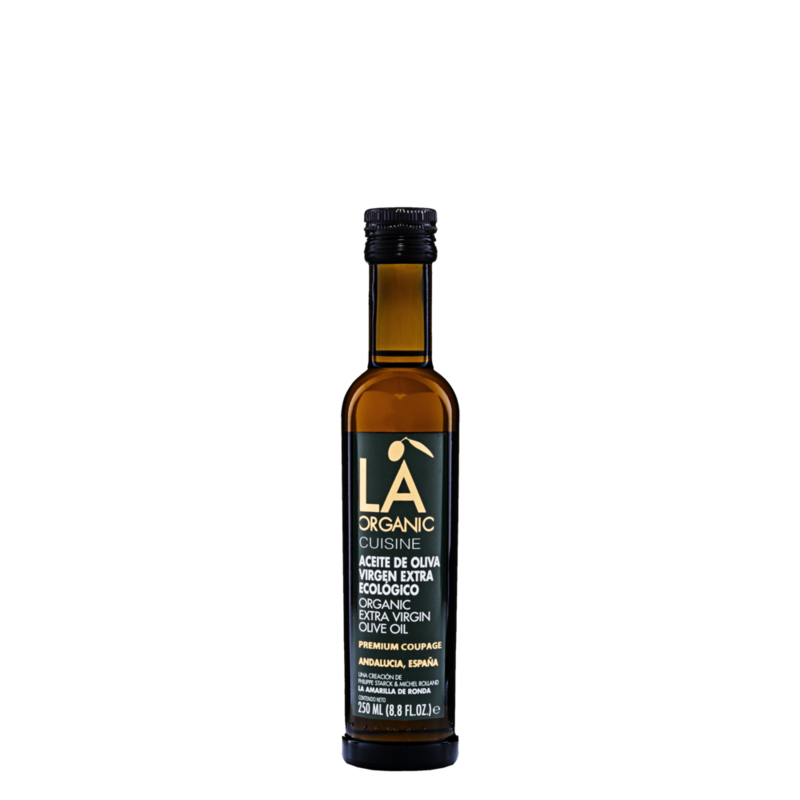 An exceptional and limited edition extra virgin olive oil, like a "Gran Reserva"/"Great Vintage", with distinct tones of fruit and vegetables, also complex fresh green sensations. The packaging has been exclusively created by Philippe Starck. 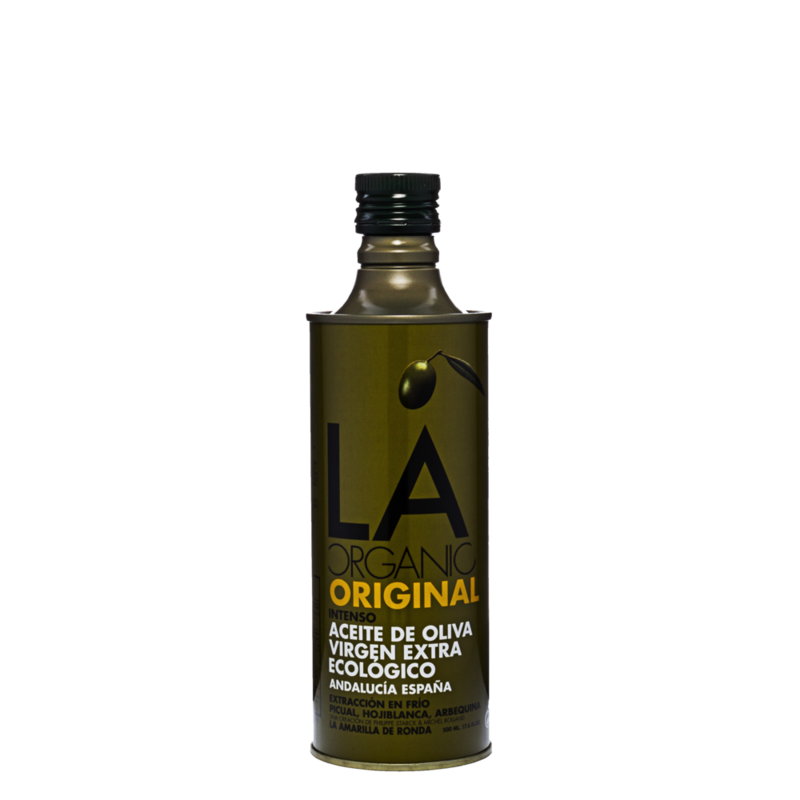 It is giving a unique format for Spanish olive oil for the first time ever. 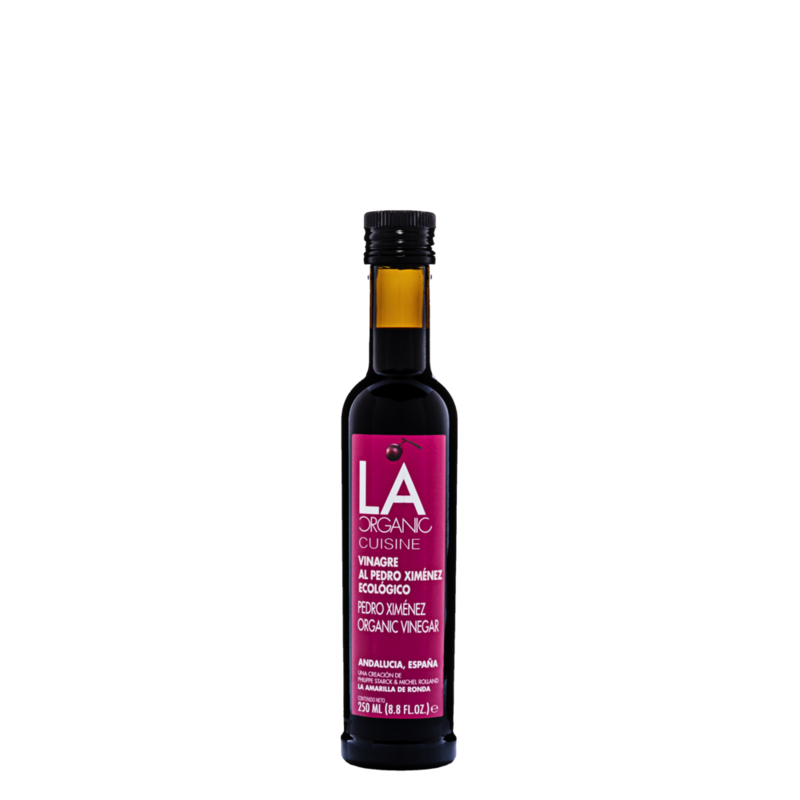 Ideal for gourmets that seek complexity and intensity in the preparation of their dishes. Extra virgin olive oil with light and balanced fruity perceptions in the nose and with a clearly sweet termination in the mouth. An excellence for all tastes and all uses in the kitchen. Comparable to a wonderful “Crianza” in the world of wine. 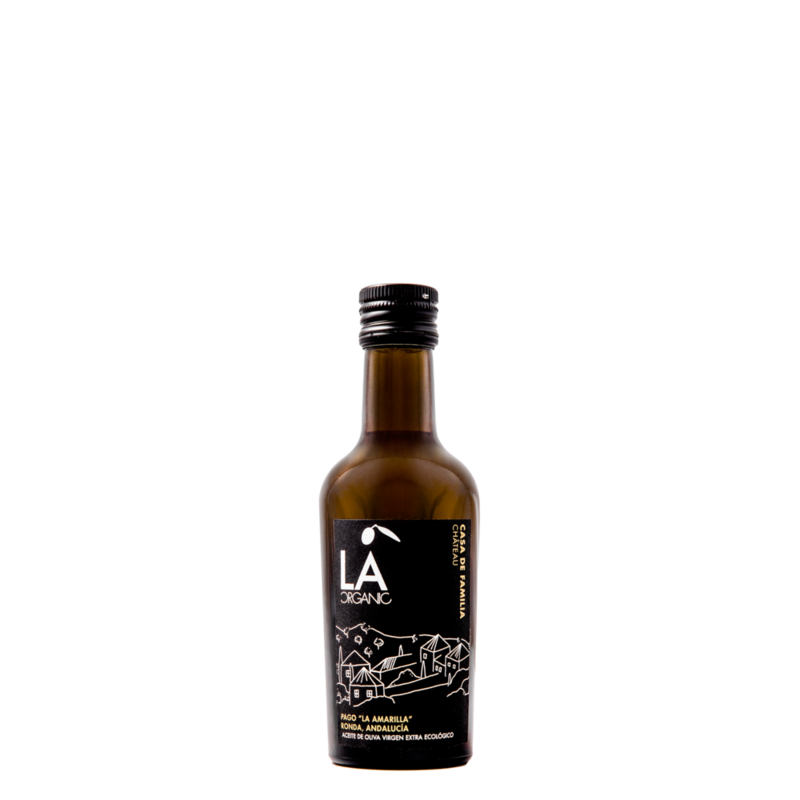 Produced from a coupage (blend) of the best olive varieties grown in the associated olive grove "La Amarilla", located in the Serranía of Ronda, at an altitude of 800 metres. These olive groves, which are not artificially irrigated or treated with pesticides, produce seven different varieties of olives on hundred-year old trees. This diverse range of olives, the collection of all the olives at the optimum moment, which are then ground in our own on-site mill means the production of an olive oil with particularly special characteristics, of an unique quality. 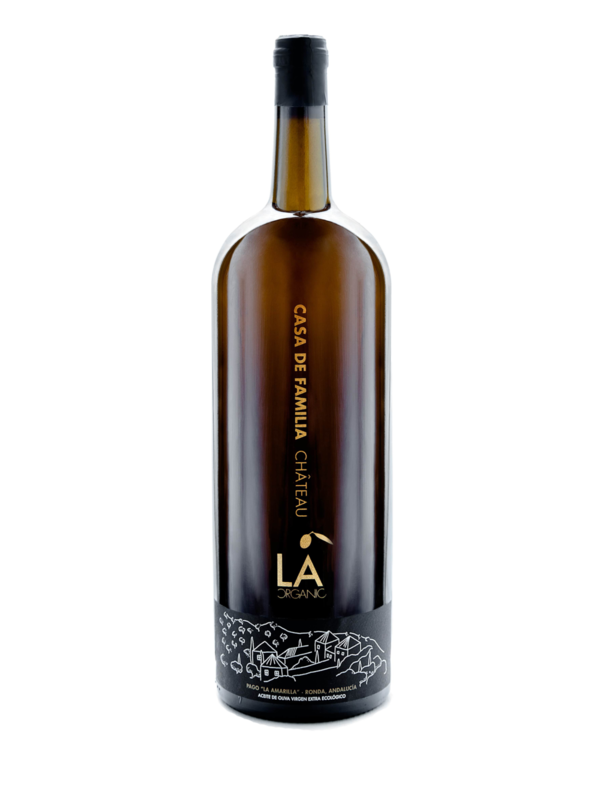 Vinegar LA Cuisine produced from the finest organic wine, aged in the traditional method of “Criadera & Solera”, deriving from the variety of grape, Pedro Ximénez using flower yeast and enriched with an excellent reduction of Pedro Ximenez raisins.